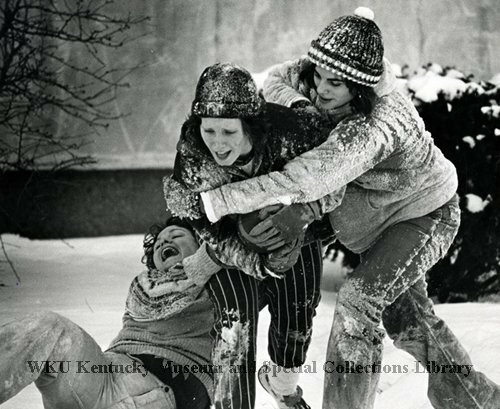 WKU Archives is staffed by a full time archivist (Suellyn Lathrop) a full time archives assistant (April McCauley) and a 10-hour per week student worker (Jack). We work Monday through Friday 8 to 4:30 and a couple Saturdays each semester. Suellyn and April spend most of their time processing collections and doing reference work for patrons who come in or contact us by telephone or email. Jack spends his ten hours a week digitizing the stuff that Suellyn and April pile up for him to do. We’re changing up the format a bit due to the website audit. 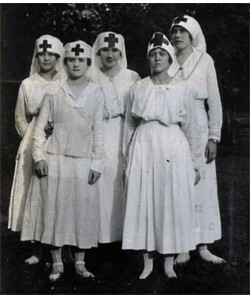 We will be highlighting documents, photos and events which took place 25, 50, 75 and 100 years ago. 50 years ago – Photos of students moving into the dorms in 1965. 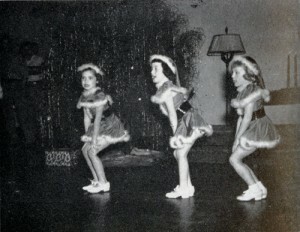 75 years ago – Nina Hammer Oral History. William Jenkins interviewed the former Bowling Green Business University Registrar about her time as a student and working at the BU. 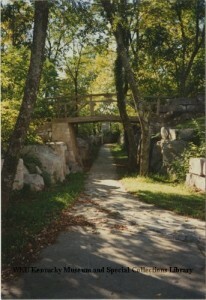 Everyone has heard of the Kissing Bridge. It is said that a couple on a first date who kiss on the bridge will marry. Enjoy International Kissing Day with someone you love! As archivists we evaluate our collections and process them in order of importance. That importance can be calculated in terms of rarity, pressing preservation issues or research value. We also process collections as researchers use them. This past week we spent time processing the Cherry Statue Committee records for a student working on a capstone project. This is a small collection just 31 folders of documents and one oversize drawing of the statue base. In archives speak a mere .25 cu. ft. or a single box measuring 15 1/2″ x 7″ x 10″. 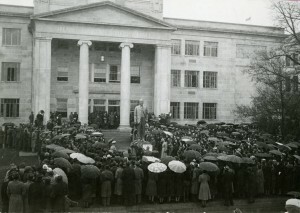 In using the collection the researcher found information regarding the time capsule placed beneath the statue on November 10, 1937. There were two lists of items that had been placed in a bronze box and sealed inside the base. There was also documentation that indicated a second box had been purchased for duplicates to be placed in the Kentucky Museum. The museum curator brought the box out for the student to see. 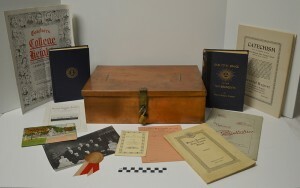 Before the box went back to the Kentucky Museum, we digitized everything in it. We also were able to identify a few items that had not been duplicated and created the Cherry Statue Time Capsule online exhibit. Here you will see most of the items that the Cherry Statue Committee felt important enough to store for posterity. 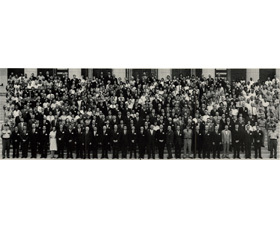 Most of the items reflect Henry Cherry himself and include his two books, several speeches showing his interest in education, agriculture and politics; photographs and program of his memorial service. The Glasgow Normal and Southern Normal Schools are represented in commencement programs and publications. Also included are representations of what Cherry meant to the faculty, staff, students, alumni and community in the lists of donors to the statue fund , resolutions of respect and other tributes. 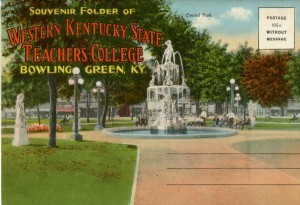 Lastly there are many representations of how WKU had grown and flourished in the 31 years since its founding in 1906 until November 16, 1937 when the statue was unveiled. WKU Map 1965 – could you find a parking place in 1965? Mammoth Cave is the country’s 26th national park and contains almost 60,000 acres of land in South Central, KY. But, the entire region, because of our karst topography is riddled with caves. This push for visitors lead to one of the most interesting parts of Mammoth Cave history. It was the period known as the “Kentucky Cave Wars.” It was a time when local cave owners used devious advertising and other illegal means to lure tourists to their underground treasures and away from the “real” cave. They did this impersonating rangers and flagging travelers off the road before they could reach the cave and national park. 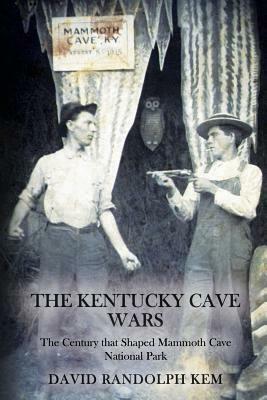 A recent book by David Kem, The Kentucky Cave Wars: The Century That Shaped Mammoth Cave National Park, delves into this time by “telling the story of Mammoth Cave’s greatest competitors in the late nineteenth and early twentieth centuries. 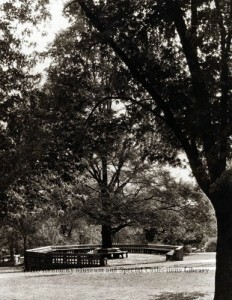 From the death of Dr. Croghan and the first competitors popping up in Cave Country, to the national park’s creation and beyond, more than a century of fighting for tourist dollars shaped the decisions in and around the famous cave.” Kem used several photographs and other illustrative materials from the Kentucky Library Research Collections to illustrate his new book. Find materials about the cave and other subjects in the Department of Library Special Collections by searching TopSCHOLAR and KenCat or request more information from spcol@wku.edu. This year the WKU Archives Elves have been quite good. 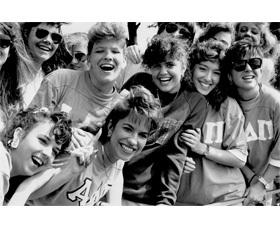 We have digitized over 3500 images, scrapbooks, audiotapes, videotapes, posters, student newspapers, newsletters, programs, and other types of documents and described over 400 record groups and answered over 400 reference requests. So Santa, baby, hurry down the chimney and leave us some goodies for the collections.